Heightened regulations - including Sarbanes-Oxley and the newly enacted Dodd-Frank Wall Street Reform and Consumer Protection Act - have placed greater responsibility upon attorneys involved in financial transactions. General Counsel are now even asked to sign off on financial statements. And they must understand what they’re signing. Accounting is the language of business. And if you can't speak the language, you'll eventually run into errors in translation, confusion in meaning - or worse. Apply Basic Accounting Principles - and Recognize When They’re Not Being Applied! 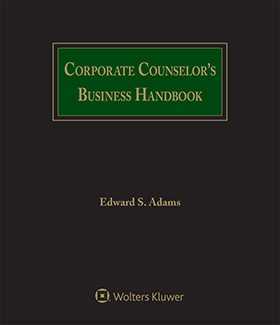 If you're an attorney providing counsel on business matters, this book can save you months of study and perhaps years of headache. New case study examining the financials of DreamWorks Animation, Inc.